gehaktballetjes in warme saus met feta. Close your eyes and visualize sunny islands in a light blue sea, perfect dishes, great hospitality of the inhabitants and a mindblowing culture. That’s Greece, now back to reality, this is Gouda. But how can we come closest to this picture perfect? Well, go for the culinary experience at Mykonos. 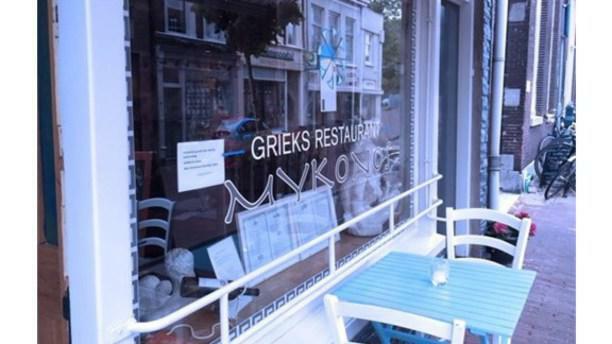 When you enter this restaurant, you’ll immediately be connected to the delicious Greek kitchen. Great wines and suitable music included! Aparte AH actie kaart geeft wel keus, maar leidt tot standaard gerechten en schotels. Weinig verrassend dus, maar wel gewoon goed verzorgd en lekker.